My favorite macaron recipe with detailed instructions is found here, and it goes by weight instead of by volume, basing everything on the weight of your egg whites. Preheat your oven to 350 degrees and line a heavy baking sheet with parchment or (my favorite) a silicone mat. Mix your almond meal and powdered sugar well– if you have too many lumps, process in a food processor until nice and powdery. In your stand mixer, beat the room-temperature egg whites to soft peaks, then continue beating as you add the granulated sugar a bit at a time, until you have a firm meringue. This goes beyond merely stiff peaks, people– the meringue should feel like marshmallow. 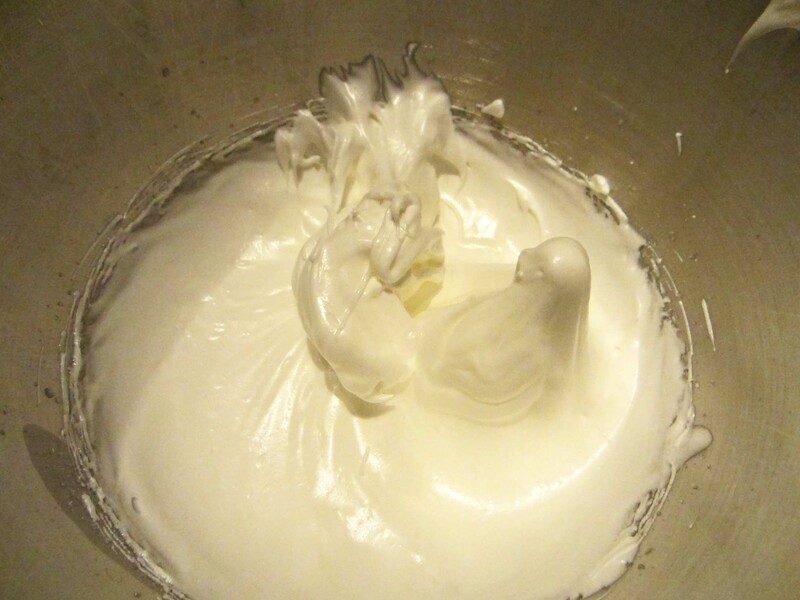 Add half the dry mixture to the meringue and stir in completely. Repeat with the remaining dry mixture. It will seem dry at first, but it’ll get smoother as you keep stirring. 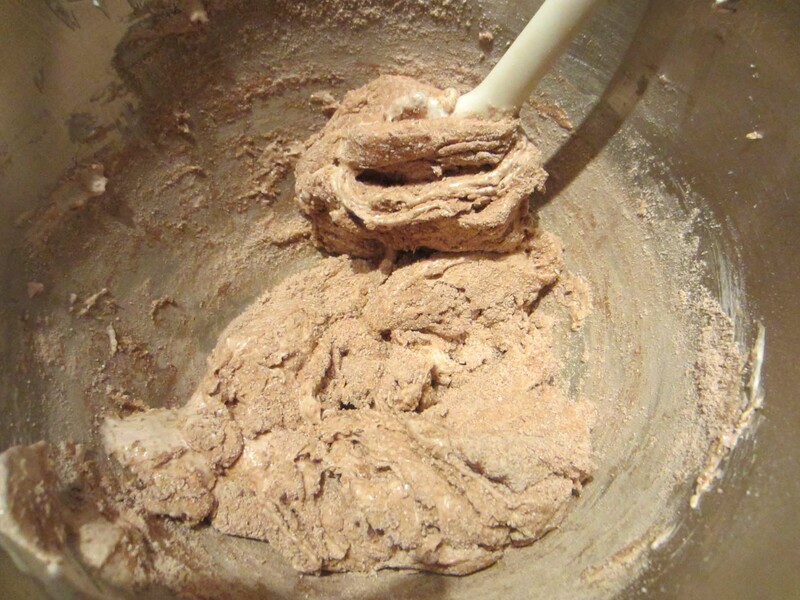 Don’t try to be gentle, you are not folding batter for an angel food cake– stir, stir, stir! Add any colorings and flavorings during this step. In this case, I used a teaspoon of instant espresso powder dissolved in a teaspoon of hot water. When it “flows like magma,” you’re done. A ribbon of batter dropped onto the main surface will disappear completely in about 30 seconds. Do not overmix! Pipe batter onto the baking sheet into circles, and let sit for 10 minutes. These will spread a little, but not too much after the initial smoothing out of the piping lines (which happens naturally). Bake for 2 minutes at 350, then crack the oven door and bake about 8-10 more minutes. When done, the macaron shells will be hard (like eggshells) to the touch, will not dent if you press them lightly with your finger, and won’t move on their “feet” when you nudge them. If you have any doubt about doneness, bake longer– too crisp is fine and the filling will soften them up again in a few days if you keep them covered. Too sticky is not fine and you’ll never get them off the baking sheet. Let cool completely before trying to remove from sheets, then peel the paper/silicone mat carefully away from them to avoid cracking. You can store these in a ziploc bag at room temp for about a week before filling. You can also store them unfilled in the freezer for quite a while– at least three weeks, maybe longer. Once filled you can store these in the fridge, covered, for at least a week– in fact, they may need some of that time to soften, so be sure to make them early. They’re best if you let them come to room temperature before eating, especially if you use buttercream (which hardens in the fridge). 2. 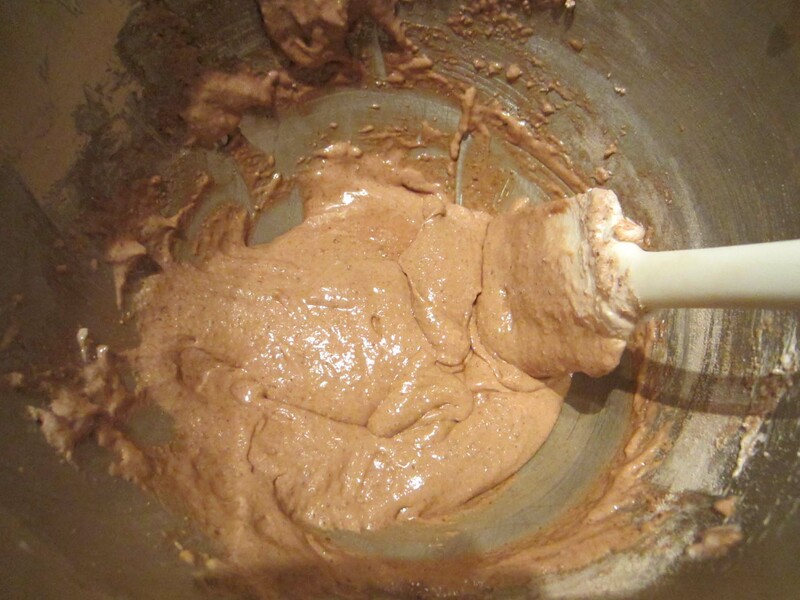 Add espresso mixture and a generous pinch of salt and beat thoroughly. 3. In the microwave, heat chopped chocolate in 30 second increments until about halfway melted. 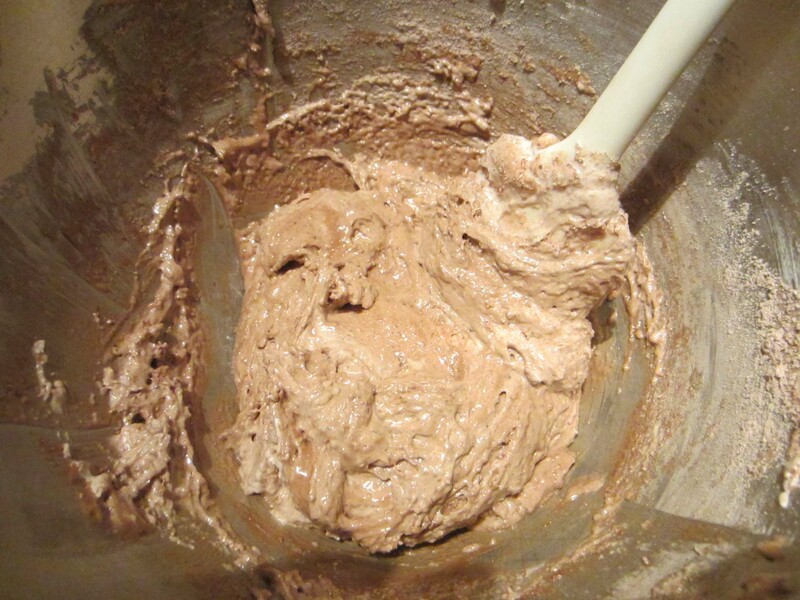 Stir until completely melted, then add to frosting and beat in until completely smooth. 4. Transfer to a piping bag and pipe into the centers of your macarons. Sandwich them together and store in a sealed container so they’ll soften over time. *NOTE: The reason my powdered sugar measurement is imprecise is that I didn’t keep careful track after the first two cups of sugar– I just added more until it looked and felt right. It’s hard to go wrong making frosting this way, so just do it to taste.